Since 2014, 30th of may has been observed as Biafrans Heroes Remembrance Day; and it will continue as long as Biafra exists. Mazi Nnamdi Kanu the leader of the Indigenous peoples of Biafra (IPOB) introduced it. In 2014, the Heroes day was observed at Enugu Province; in 2015 it was observed at Aba Province, in 2016 it was observed at Nkpor in Onitsha Province and in 2017, a sit at home was observed. This is the second sit at home that will be observed. 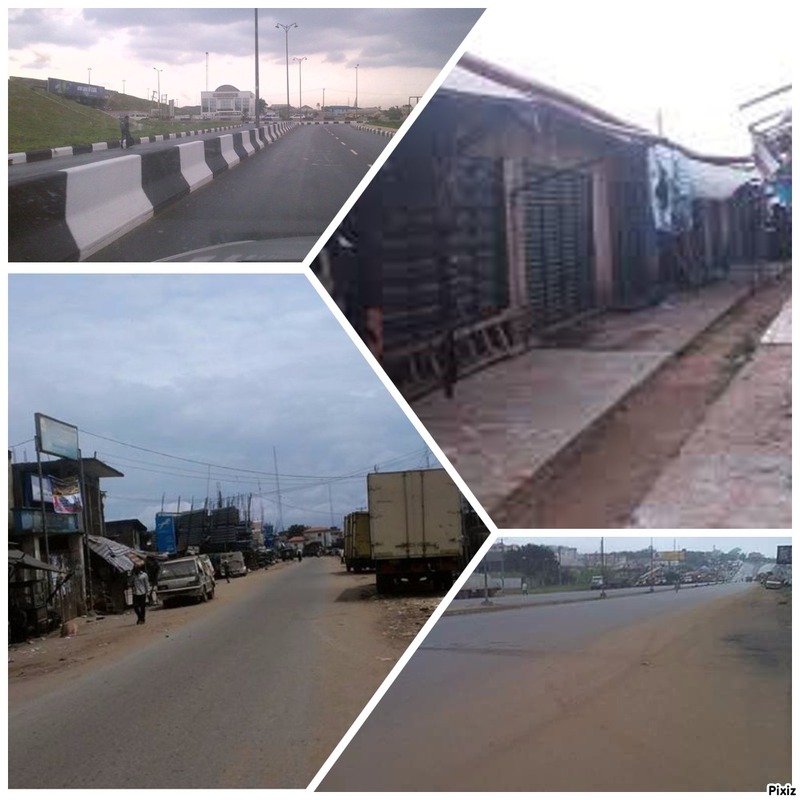 What happened at Nkpor in 2016 made Biafrans to observe a sit at home in 2017. 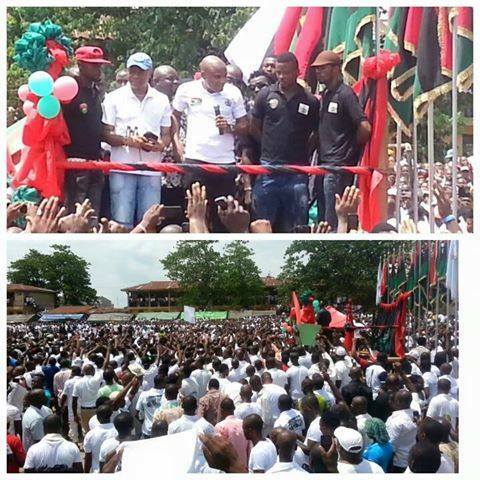 At Nkpor, Biafrans were killed in mass, and Biafrans’ blood flowed like a River. Sadly, because Biafrans are peaceful and unarmed, each time they come out to demonstrate or protest for their freedom, they will be killed in mass by the Nigerian army. If it is allowed to continue that way, how many people will be there when Biafra is restored? Nigerian army is unprofessional in their activities and that is why they continue to depopulate Biafrans whenever they come out to ask for their rights. In 2017, a sit at home was declared by the indigenous peoples of Biafra to mark their Heroes’ remembrance day. It was a huge success; the whole of Biafra land and beyond were shut down from 6 am to 6 pm; business activities were out of function; there was no movement of vehicles and persons on that day; roads, towns and marketplaces were deserted, even banks did not function. Nigeria counted their losses. They lost more than four billion Naira; above all Biafrans lives were saved. It may continue like that for now until Biafrans are allowed to exercise their right to protest peacefully or they decide to carry arms. They cannot continue to face the most undisciplined Nigerian army unarmed. Heroes Remembrance Day is a sign of respect to Biafran fallen Heroes. British Nigeria started killing Biafrans since 1945; more than 3 million Biafrans were killed between 1967 and 1970 during Biafran / Nigerian Civil war. Now, in order to please their masters, Biafran governors have joined their Fulani slave masters to kill Biafrans who elected them into office. In 1999, Peter Obi, former Governor of Anambra state killed many of Biafrans and threw them into Ezu River during Raphael Uwazuruike’s led MASSOB. Willie Obiano followed suit in 2016 at Nkpor where Biafrans were massacred en masse and Okezie Ikpeazu of Abia state is also killing Biafrans. In Nnamdi Kanu's led IPOB, according to Amnesty International report from 2015 to 2016, 150 members of IPOB were killed, later it was discovered that they were more than that number. Again on the 14 the of September 2017, many Biafrans were killed during the invasion of Mazi Nnamdi Kanu's father's compound at Afara Ukwu Ibeku in Umuahia Abia state by the Nigerian army. All these people cannot be forgotten. Biafrans recognize their efforts and sacrifices, they died for others to live, and they shall always be remembered on 30th of May of every year.